We purchased our new 2019 Advance last month and by chance this week stumbled upon the heated windshield button. In the manual and website it is listed as being on Canadian models only, and it's not listed on the window sticker as a feature. (And the dealer listed on the sticker is the one I bought it from). Just for grins I went on my dealer's website and looked at pics of the other Advance models they have for sale and all of them have the heated windshield button. Did Acura start adding this as standard and just didn't update the website or window stickers? That’s strange. I have the heated windshield on my 2017 Advance. The manual doesn’t say anything about Canada only. When did this become an option? And are you sure you aren't talking about the windshield defrost warm air? Heated Windshield Button* Turn the vehicle on. Press the heated windshield button to de-ice the windshield. The heated windshield may automatically activate when the outside temperature is below 4° C, and deactivate when the temperature reaches 6° C.
Heated windshield button located on lower left panel below parking brake. This is not a defroster vent of the heat/air conditioning system but a windshield with imbedded heating element. I have a heated windshield on my 2017 Advance Hybrid. Does the button have a wiper across the windshield shape? I just think it’s weird it’s not mentioned anywhere as a feature in the US models! Did this become an option on 2016 versions? I'll have to ask the wife if my 2015 Advance has it. Does it automatically come on with the remote start? Isnt that the REAR wi dow defrost button? 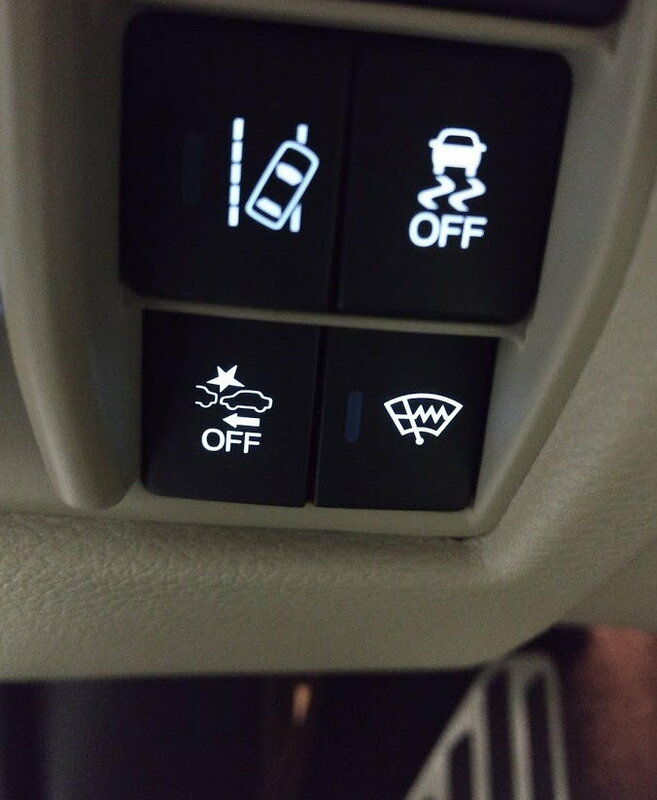 2015 Advance models don't have that button. I did find this surfing around. Really doesn't help with figuring out what happens with that front windshield heater when the auto start is used. No, the rear window defrost button is in the center dash by climate controls. Windshield had ice on it this morning. With my new knowledge that the heater was a feature, I reached down to turn it on, but it was already lit up as being on. Agree - I notice mine was on a cold morning as well !! That Canadian models marker in the manual has been there since way back. They have problems catching errors in the manual, so it wouldn't surprise me if they forgot to change it in 2017. But I'm also relatively certain that it was introduced in the US in 2017. Our left side buttons up to 2016 was mostly for turning on/off the safety systems and so when they changed that stack for the placement of the electronic parking brake switch, they introduced that to the US as well. 2016 RDX Advance vs. 2019 - Pre-buyers remorse? About to buy in a few hours!